History tells us that you guys love pools: from big to small and luxury halls to charming grottos; so, we thought we’d give you some more to dive into! This time we’re really focusing on a good variety of pools and whether you like a long swim or a relaxing backstrokeof an evening, we think you’ll find something that’ll make a big splash in your day. 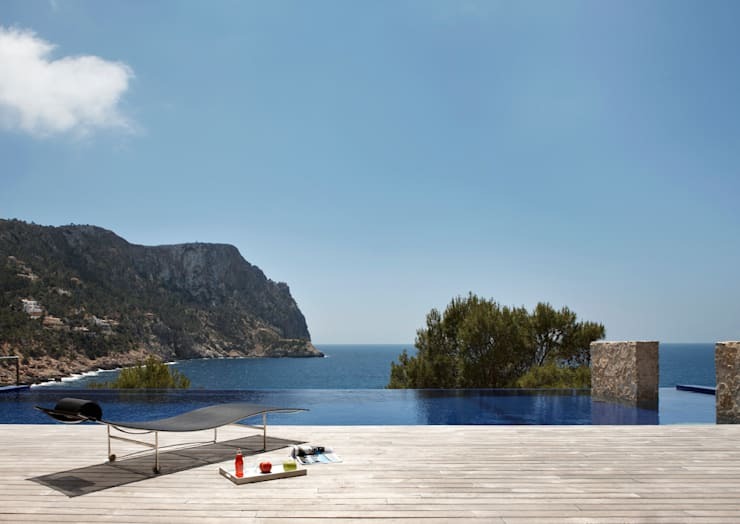 Infinity pools are probably the most spectacular thing when it comes to pure aesthetics and pools. Incidentally, the overflow effect works not only at the sea, but also on the roofs of the city or on the green mountain slopes. Currently at the top of the list for pool fans world wide: natural pools! They operate entirely without chlorine and chemicals and ensure the highest water quality, whilst looking great at the same time. 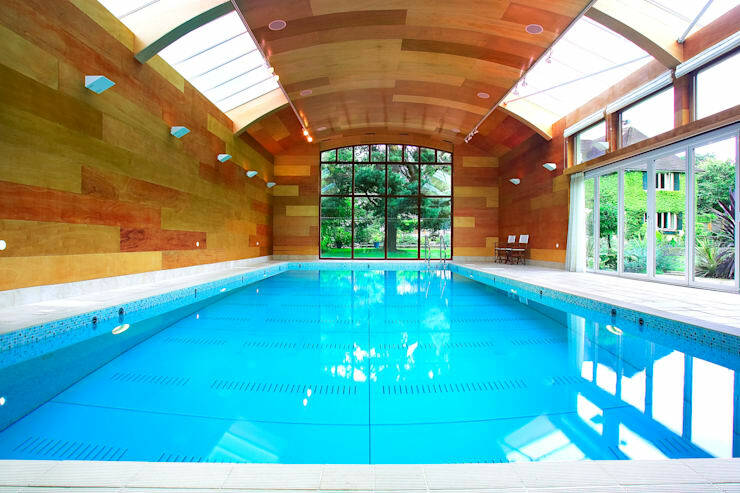 This indoor pool has quite a few unexpected capabilities. 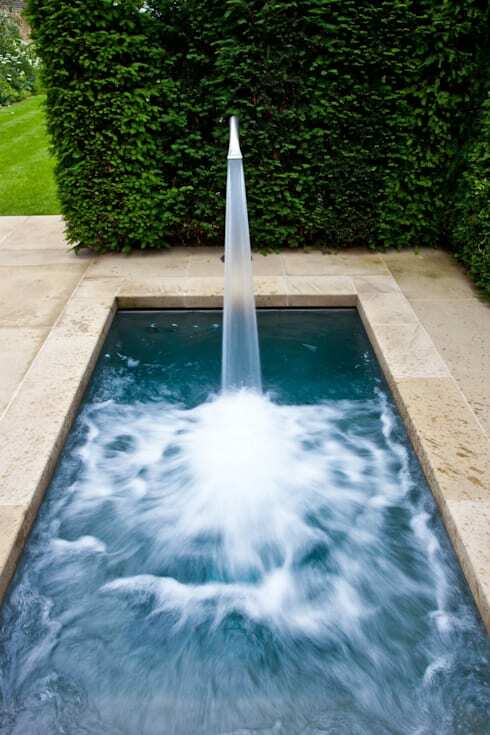 Its base can be raised and lowered at will, which not only makes for a custom water depth, but, if necessary, the pool can completely disappear; leaving room for a multi functional space in your home. 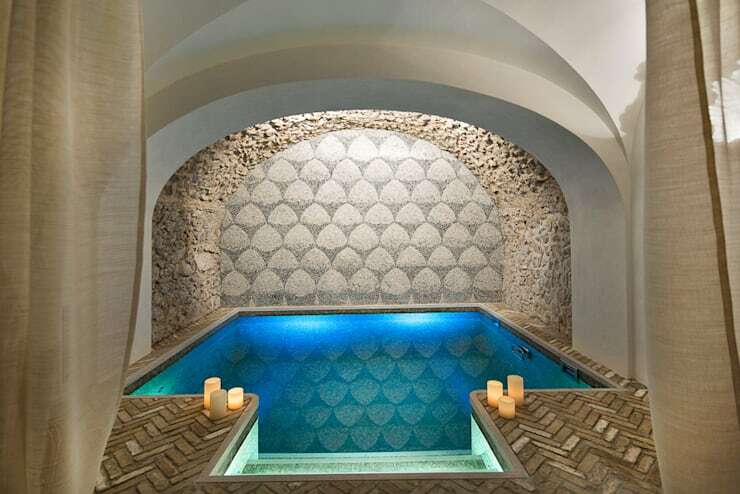 Swimming and relaxing in a Mediterranean cave: what more could you possibly ask for? There's nothing like a swimming pool with panoramic views. Whether it's the mountains, the sea, the jungle or in the city—a pool with a view is always an exceptional experience. 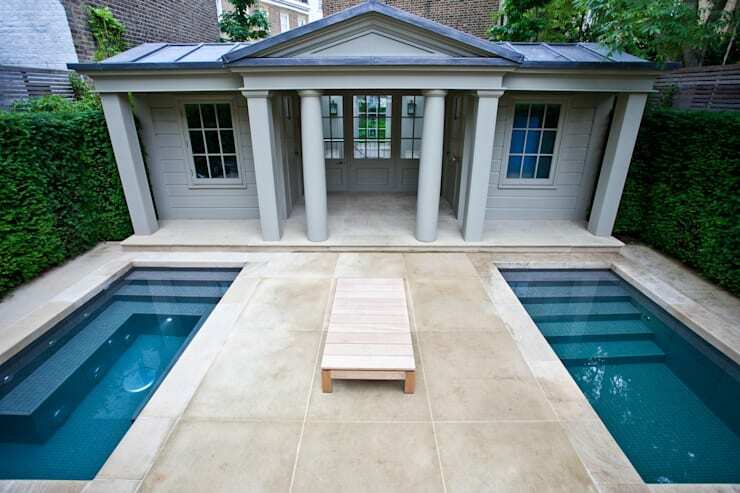 An excellent solution for smaller gardens, this kind of pool would also prove an great addition for young and old alike; promoting easy access and exiting qualities. Would be nice for a shower on a hot day too! A pool need not always be blue. How about instead, a bright green or bright yellow pool? 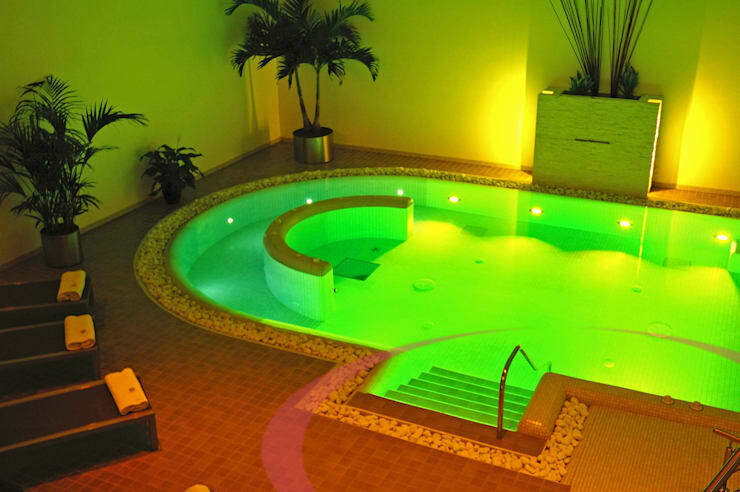 The right lighting can make this possible and add an individual touch to the design of any pool. Why limit yourself to just one pool when you can have two? The symmetrical arrangement of the two basins complements the harmonious construction of this out house perfectly; giving is regal charm and a look of importance. Swim or gaze? 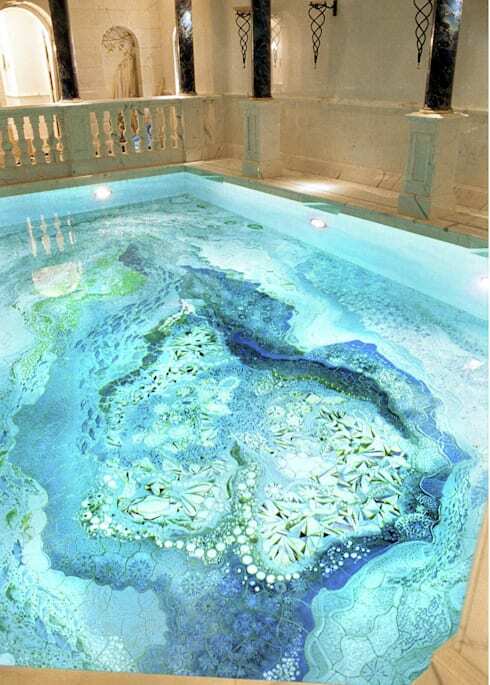 The special and bespoke mosaic tile pattern beneath the pool gives off such a magical look that you’d think you were swimming around among the coral. 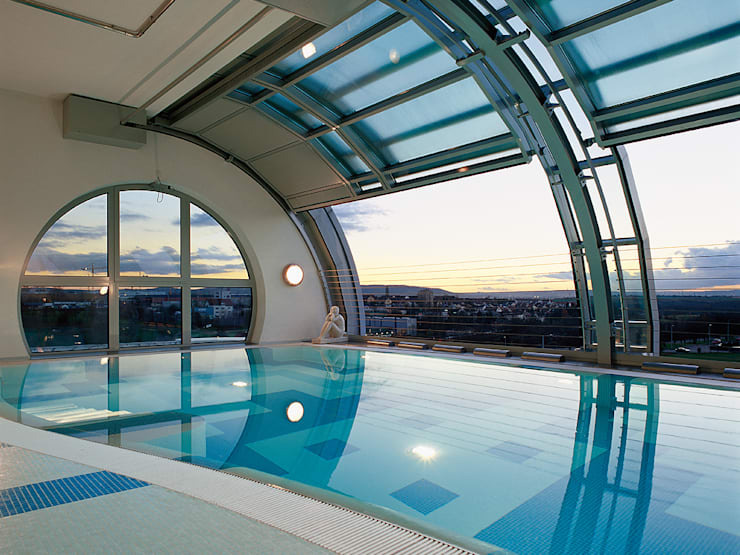 A spectacular view is something that an indoor pool does not often provide well. How nice it must be relaxed here to swim lengths and splash over the rooftops of the city—in any weather and at any time day or night!